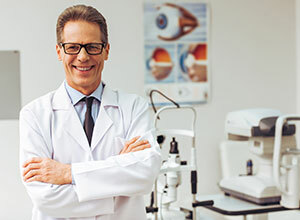 Take charge of your eye care with quality vision care services by Dr. Otto C.W. Lee, Optometrist, in Hamilton! Dr. Otto C.W. Lee, Dr. Kamal Matharu and Dr. Yasamin Al Hashimi, delivers comprehensive eye exams for the whole family. Our professional, friendly team will provide you with the best eye care possible in a relaxed and supportive environment. We use state of the art technology and equipment to assess the quality of your vision and offer recommendations for enhancing your vision care. Award-Winning Optometrist – We are proud recipients for the Best Optometrist in the Hamilton Spectator’s Readers’ Choice 2015 Diamond Award. For a comprehensive eye examination, a complete vision and ocular health assessment will be performed. Annual eye and vision examinations are an essential part of preventative health care. Optometrists are primary care health providers who can help diagnose and treat eye conditions before they become a problem. Many eye and vision problems have no signs or symptoms and if left untreated, can pose a serious problem to vision and health. Early diagnosis and treatment can maintain good, healthy vision and prevent vision loss. Our doctors perform a comprehensive eye exams that ensure every aspect of your vision and eye health will be assessed thoroughly. At each visit, your vision will be evaluated to determine the proper prescription for glasses or contact lenses if needed, eye coordination and alignment, eye pressures and overall eye heath. Our exams also monitor for systemic conditions affecting the eye health including high blood pressure and diabetes, and monitor for diseases of the eye including glaucoma and macular degeneration. Patients aged 19 and under are covered for one full eye exam every 12 months. The Canadian Association of Optometrists recommends that your child’s first eye exam should be at 6 months, 1 year, 3 years and annually after that. More frequent eye examinations are recommended if there are any concerns. More than 80% of learning is done through our eyes, which is especially important for children. 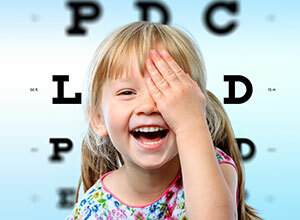 Eye exams can be done at any age, even if your child is not able to read or speak. Studies have shown that 1 in 6 children have an eye related problem. Despite this, studies have shown that only 25% of children have had an eye exam before they enter high school and only 50% have had an eye exam after completing high school. A child with a vision problem may not show any signs at all. However, some signs of a vision problem include eye rubbing, eye strain, headaches, poor reading ability, and decreased concentration and slower learning. 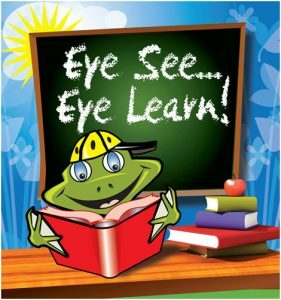 Vision screenings performed at school do not replace a comprehensive eye exam. They are used to identify children who are more at risk of having eye issues, however it is estimated that 43% of children with vision problems may still falsely pass a vision screening. Our doctors feel strongly about ensuring all our patients are provided with the best optometric diagnosis. We have extensive experience in ocular disease management, such as glaucoma, diabetic eye care, macular degeneration, cataracts, LASIK vision correction, acute red eyes, anterior ocular surface disease, chronic dry eye and many others. We use state of the art digital record keeping, retinal camera testing, refraction testing, intraocular pressure testing, and automated visual field testing, all to provide our patients with the very best. A visual field is the measurement of the peripheral vision. Visual field testing is a common diagnostic tool for glaucoma, but is also used after a stroke, for optic nerve disease, or any conditions affecting the visual pathway to the brain. A retinal photo is a detailed image of the back of the eye. The photos creates a visual document of your current eye health and will allow your optometrist to do a direct future comparison from one year to the next, allowing for amazing accuracy when monitoring for changes over time. The photos are particularly accurate in detecting and monitoring of diseases such as macular degeneration, diabetic retinopathy, and hypertensive retinopathy. At our offices, we recommend retinal photographs annually, although they may be recommended more frequently for patients with diabetes, macular degeneration, or other diseases of the eye. Have you worn contacts before or looking to start? For new contact lens fits, your optometrist will select the best contacts and solution on an individual basis. This will be based on your needs such as prescription, desired frequency of wear, hobbies, etc. Yearly contact lens evaluations are recommended to ensure they are providing the ideal vision, comfort and health. New contact lens advancements are always developing, allowing more people to be fit with soft contact lenses. They are available in single vision, toric and even bifocals designs! They can also be available in various replacement frequencies such as daily, biweekly, or monthly. Our Optometrists will help you determine which contacts are the best fit for you and your lifestyle! Let your Optometrist know if you are interested in trying contact lenses or if you would like us to evaluate your current contact lenses. We hear it all the time, “am I a candidate for laser vision correction?” Not everyone is a candidate for laser vision correction. Our optometrist, will help you determine if you are a candidate after a thorough assessment of your eyes. Candidacy is based on refraction, ocular health, corneal thickness, age, lifestyle, and stability. We will advise you whether or not you are a suitable candidate and you will only be referred to a laser vision centre that meets our high standards of quality care. Dry Eye Syndrome (DES) is a condition that occurs when the eyes are unable to produce tears of the proper quantity or composition. Tears are necessary for overall eye health: they moisten the eye, keep away harmful debris, help ocular wounds heal, and protect against infection and allergies. Up to 30% of Canadians are affected by DES. Risk Factors for Dry Eye Syndrome. What are the symptoms of DES? If you think you are having an eye emergency, please call our office as soon as possible. Our office will do our very best to book an appointment to meet your needs or help you arrange an appointment at the emergency department or your family physician. Examples of eye emergencies can be red eye, sudden vision loss, flashes and floaters and eye injuries. Accessible by HSR bus on routes Upper Wentworth #25, Upper Wellington #26, and Rymal #44. * Emergency appointments available whenever possible.